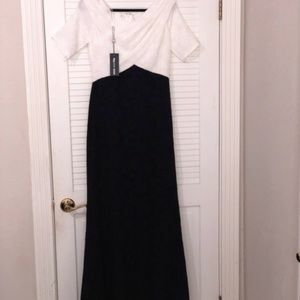 2 piece formal. 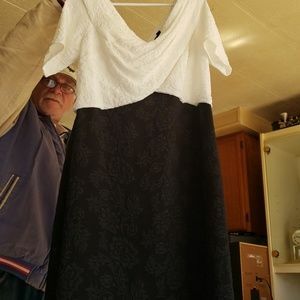 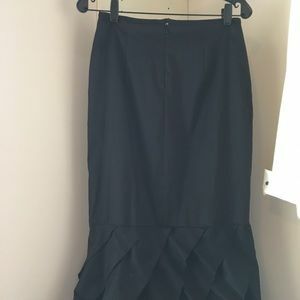 Black skirt, white blouse. 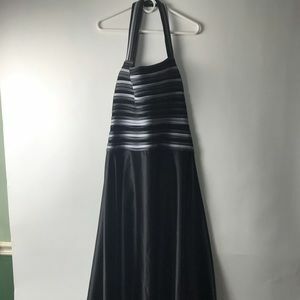 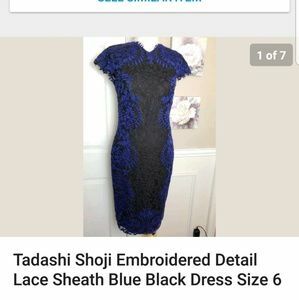 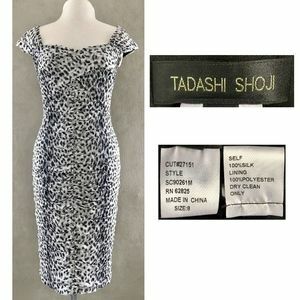 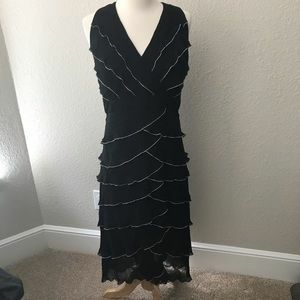 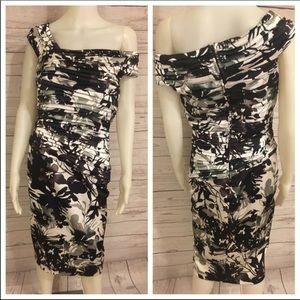 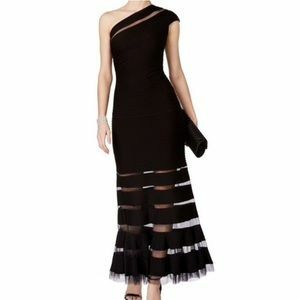 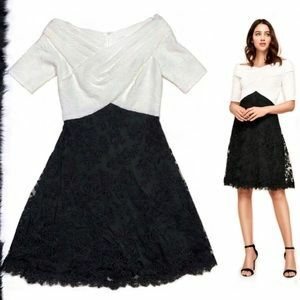 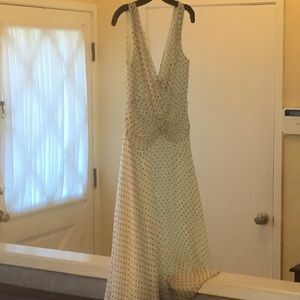 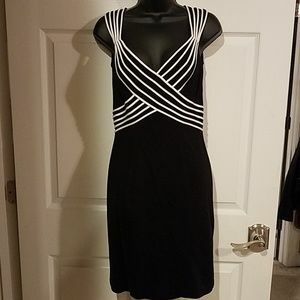 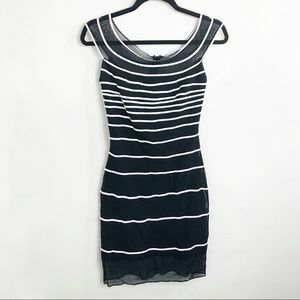 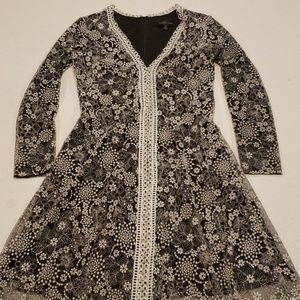 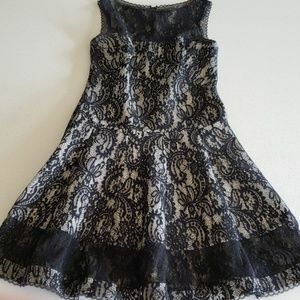 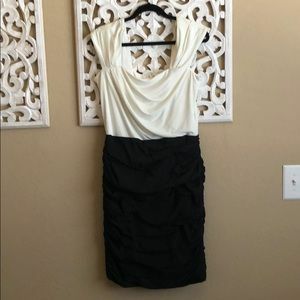 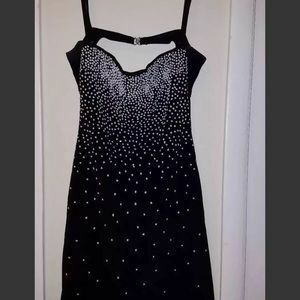 Tadashi cocktail dress. 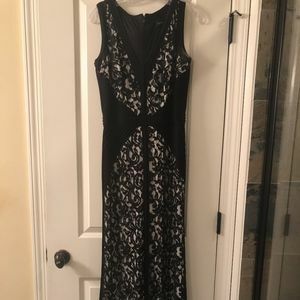 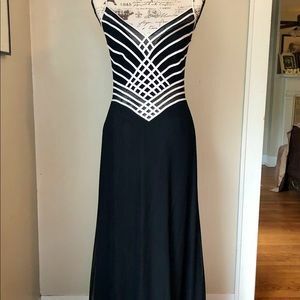 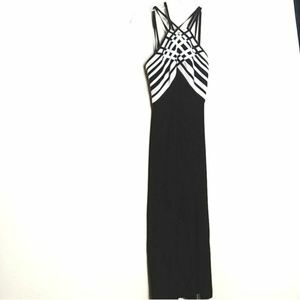 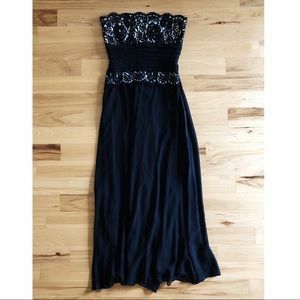 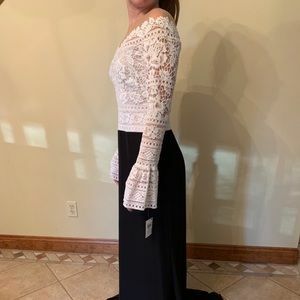 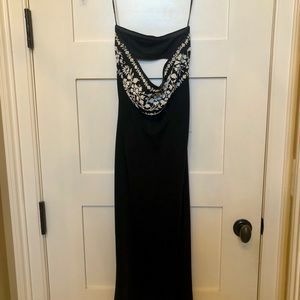 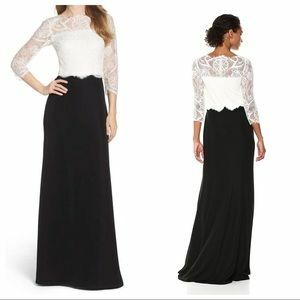 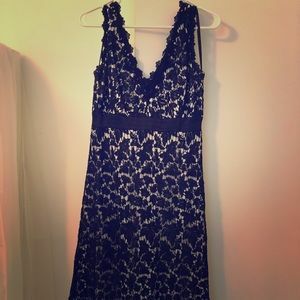 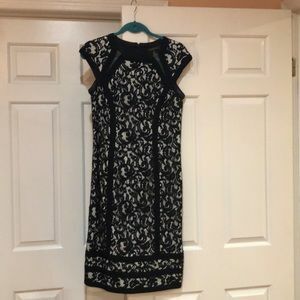 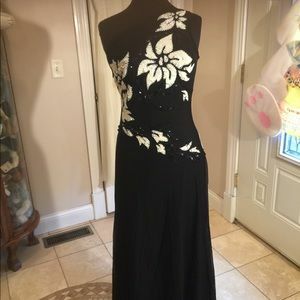 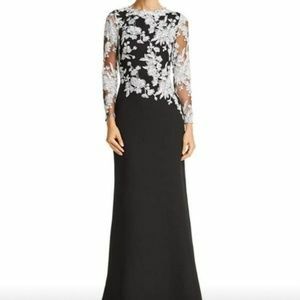 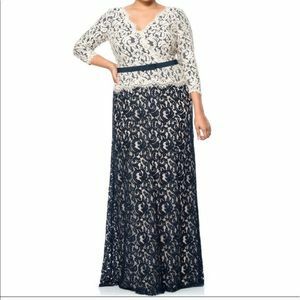 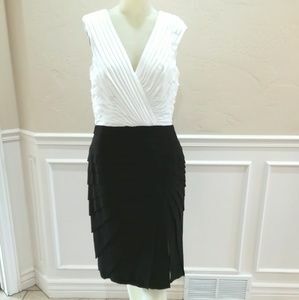 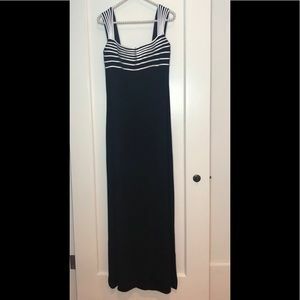 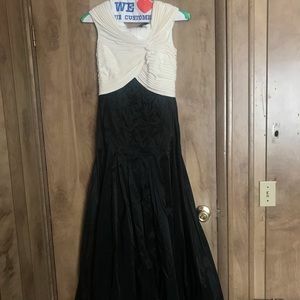 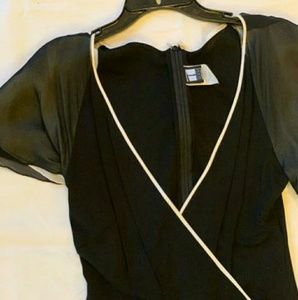 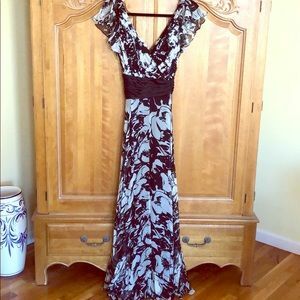 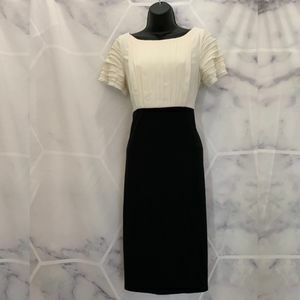 Size M.
Tadashi Shoji Too Colorblock Lace Gown - Like New!